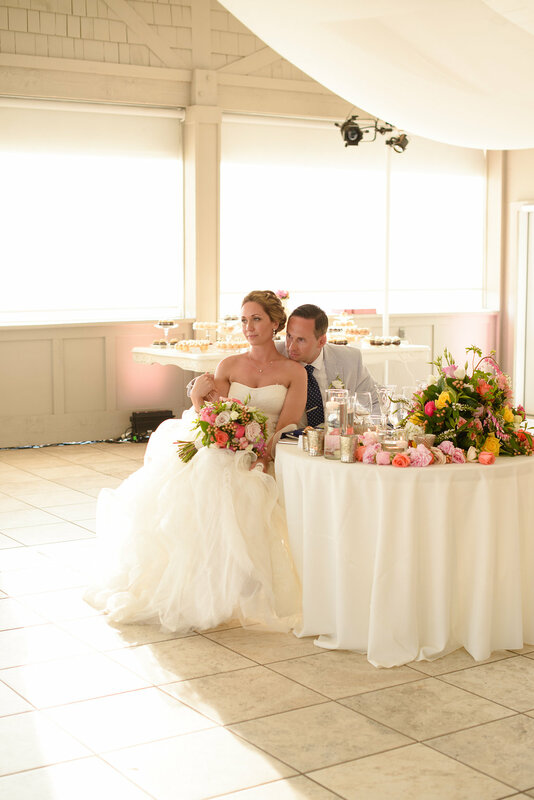 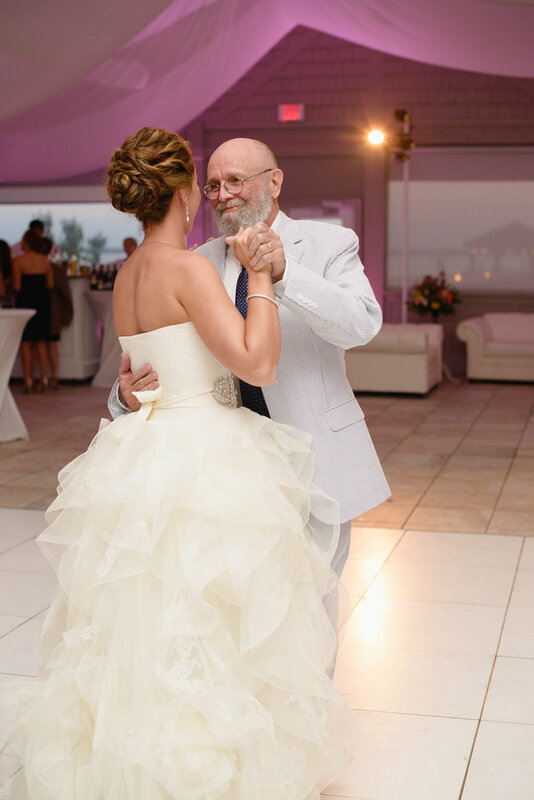 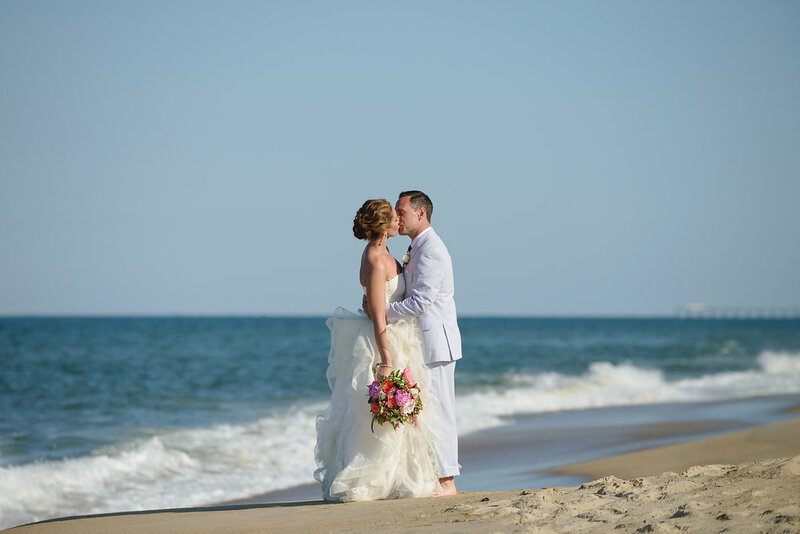 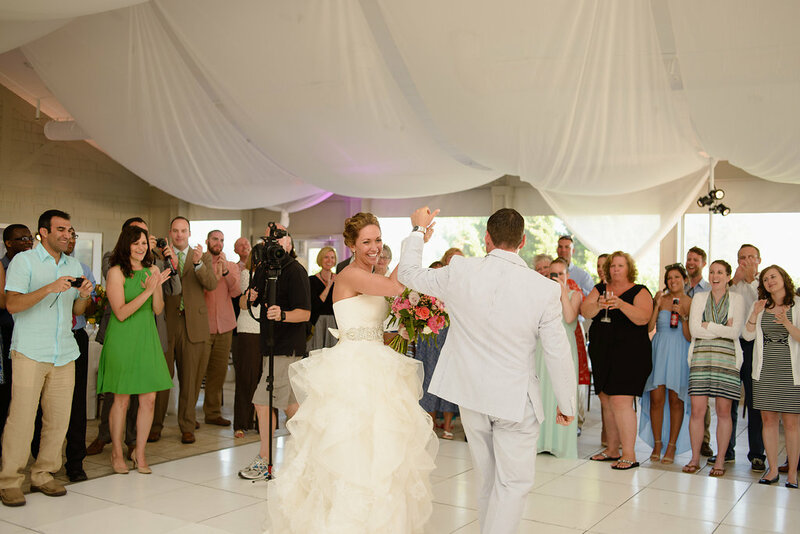 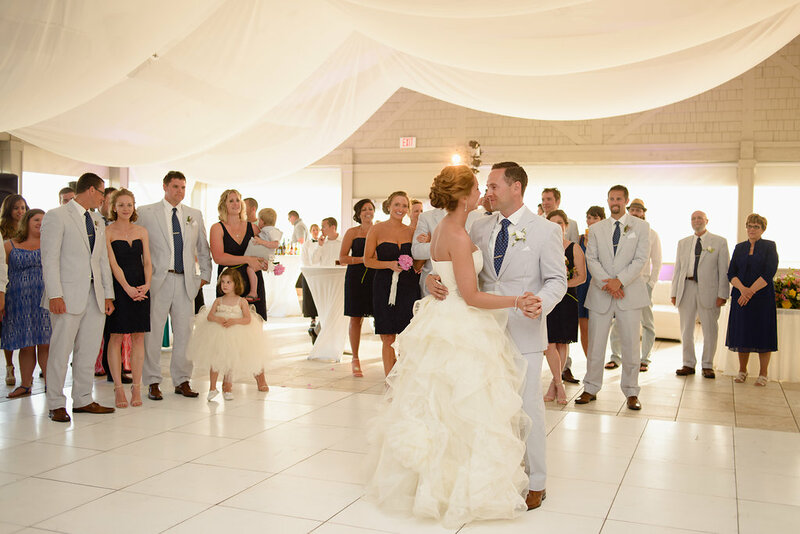 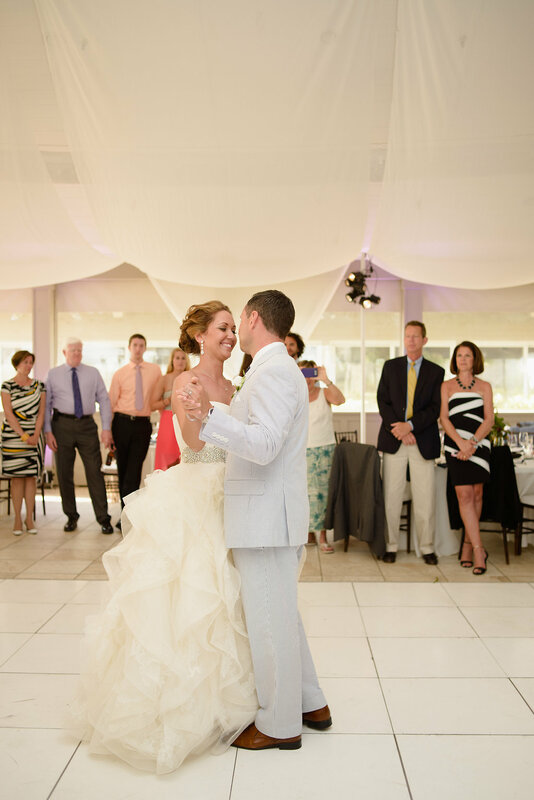 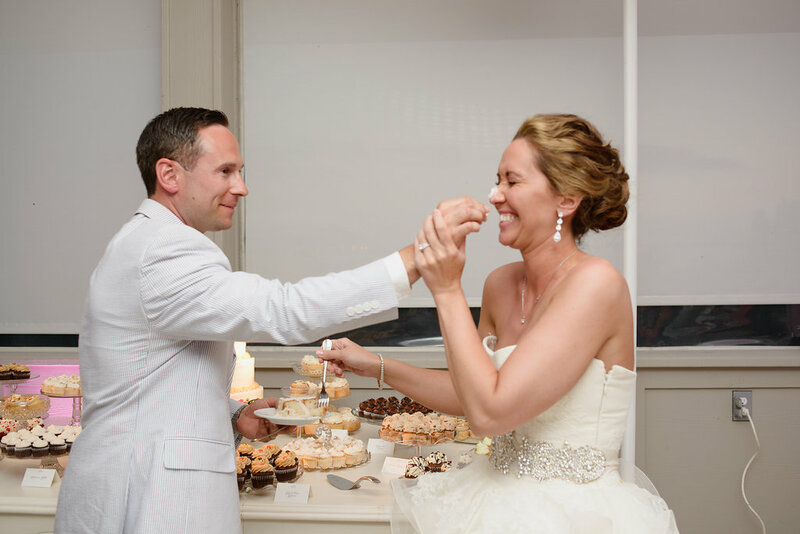 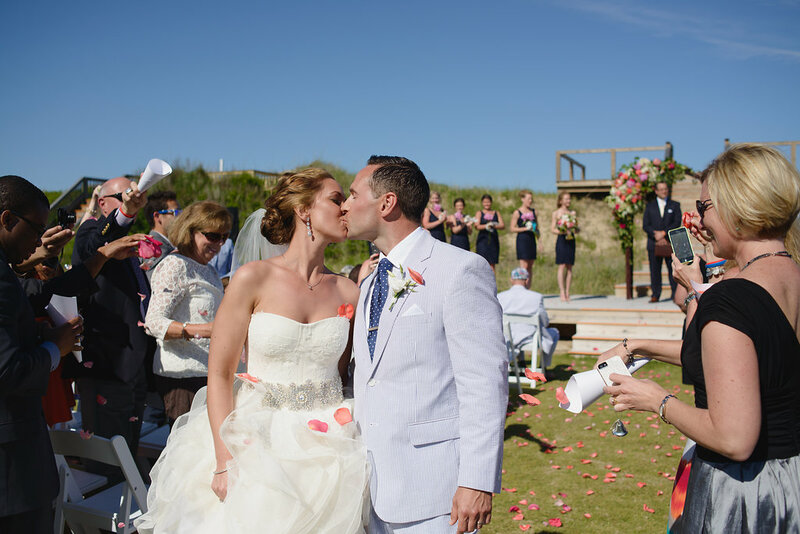 Today we are obsessing over “Summer Love” with Jessica & Tom’s Wedding. 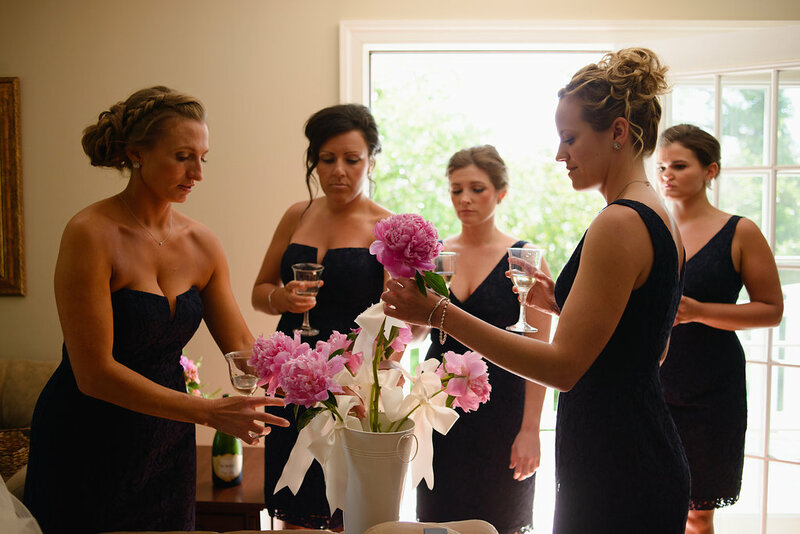 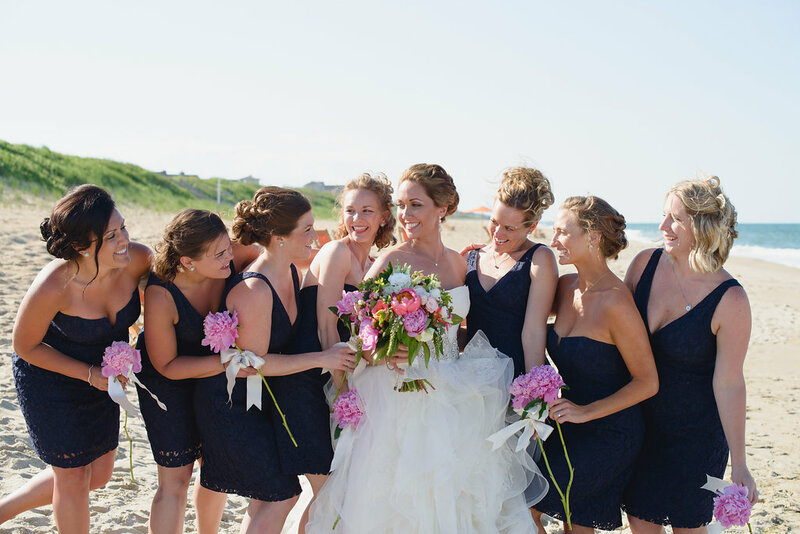 Held at The Sanderling we just adore those knee length bridesmaids dresses and Jessica’s belt on her wedding dress! 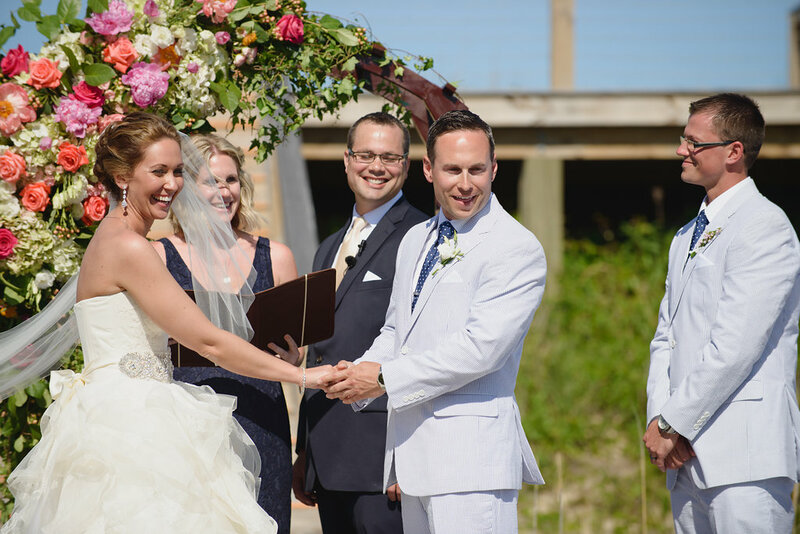 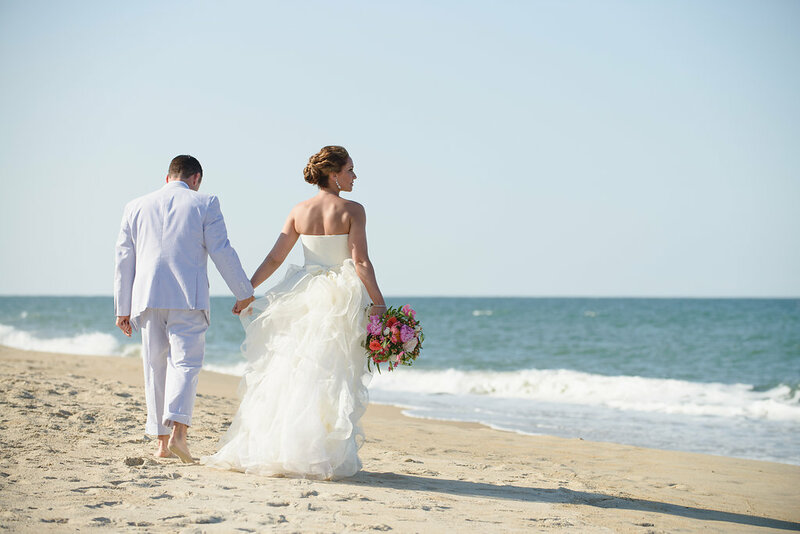 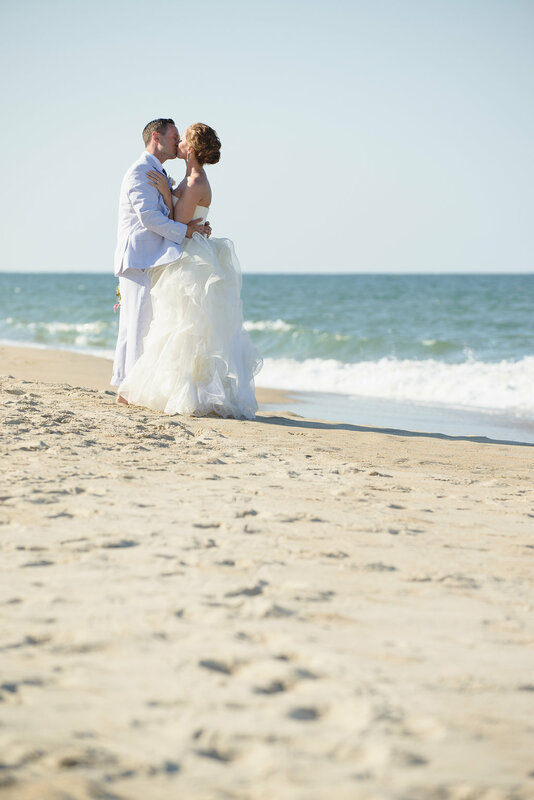 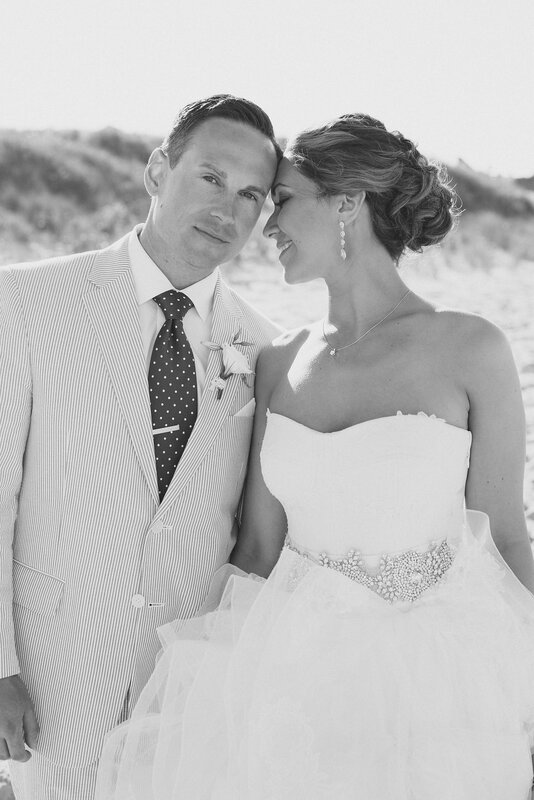 Jessica’s beautiful textured undo and natural makeup were just the right look for the beach venue at The Sanderling Resort. 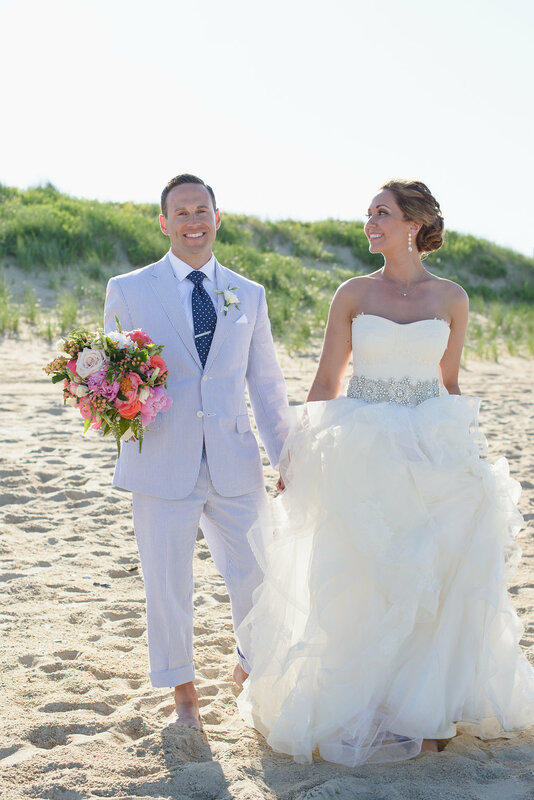 The pops of pink in her bouquet from Bells & Whistles match the seersucker suits like a charm.